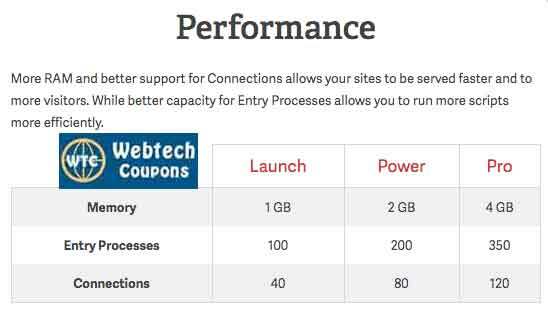 We are excited to start Inmotion Web Hosting Review section in WebTech Coupons. Inmotion hosting is our very first hosting company on which we are going to give a genuine opinion. We going give our overview on InMontion Web Hosting package. It comes with shared web hosting packages. We bring a complete in-depth Review of Inmotion Web Hosting for of users for the month of October 2018. We have marked all important points and features of Inmotion Shared Business Web Hosting. They call its as shared business hosting, which comes with three different packages. The package starts with $6.99 per month, but you will get 50% discount on your first billing. The main features that come in all three packages are. SSD Drives – It is powered with SSD drives which are best for performance. The faster the reading writing speed the better performance you will get in output. 90 Days Money Back Guarantee – In this, they set the trend with 90 days full money back commitment. All hosting company provides one-month commitment. Choice of Data Center – They offer west or east coast data center choice. Its is ok for users, But if they have a data center in different continents will make a better option. Free Data Backup – It is something which gives a added value over different hosting companies. Here you will get free data backup. All most all shared hosting keep the backup of data. But they may charge extra when we need a restore or copy. SSH Access – This is the power people rarely used in shared hosting package. But it may use full in some case. CPanel – Inmotion Web Hosting is powered with CPanel which is the best web hosting control panel. The Inmotion web hosting comes with all the latest features and options. Technology wise they are providing one of the best hardware which gives power to their Shared Business Hosting packages. Powered by Dell servers, also utilize RAIDed fault tolerant Samsung SSD drives and high-quality cooling equipment in our data centers. What is the actual difference between three Web Hosting packages? There is the limitation as per packages in Launch Business hosting package you can run two websites, and just 2 MySQL database are available. In Power Inmotion Business hosting you have the option of running six websites and 50 MySQL DB. PRO is most powerful shared web hosting package by Inmotion Hosting. It can handle unlimited domain and MYSQL Database. There is also few significant difference like support with Pro you will get Inmotion Hosting uptime security. But power and process bring the major difference that company has not shown. But we have dig out ever thing for you so able to get what power you are going to get in Inmotion Shares business hosting manages power. Above are the real factor which tells how much traffic your website can handle. In this Inmotion outperform by doubling the ram and processes in all upper packages. But the connection is less should start with 100 Processes. You sometimes some news comes, or you run some activity on the website. Few people come on your website at same time, But connection exceeds 40. Your website will not display too few of them or may crash. Inmotion tries to perform out in all section. But here it should make some significant improvements. Anyhow the packages are still good to run an average level website with 200-300 hits in Launch kits and 500 hits Pro packages on a daily basis. We found all terms and condition healthy expect a charge of $50 on immediate cancellation of Web Hosting account. We will update other conditions if we find something wrong. Chat Support – It took 5 minutes to connect Email support. But after that they are slow in reply may handling multiple chats at the same time. But the response time is ok as technical support have the flood of queries. Email / Ticket Support – We are still in testing phase and did not get the reply with 2 hours. Phone Support – It has USA based support team where you can connect from any corner of the world easily. You will get connect to support person in less than three minutes, and at pick time it may take ten minutes. It is fast if we compare to other companies. It is the overview of Inmotion web hosting package Now let us see what we will get in the actual test. We get a demo account for testing from InmotionHosting. It is their starting package which is known as Launch. You will receive an email within few minutes from the company of sign up. It is fast sometimes it may take time if they need your ID proof for verification purpose. Otherwise, your hosting up within half an hour time. The company has AMP (Account Management Panel) which easy to work and understand. They have the entire knowledge base which helps you to use AMP panel. AMP come with lots of options and easy to handle interface. Also, you will get Cpanel which help you to manage all your files and other important Hosting needs. They have easy to use Cpanel interface with no extra customization. Inmotion Web Hosting Support – We are happy with the company support team the respond fast. The team also try best to solve their customer problem. I will 4 out 5 points for after sales support, as find their ticket system is slow in reply. Inmotion Web Hosting Features – We also like the company offers on Shared Business Hosting. They bring the latest in Hosting hardware & technology. Here also company scores 3 out 5. We expected more entry level process which may see in the feature. Also, the company should have more location option. Inmotion Web Hosting Pricings – Here you will get better pricing when you go for 3-year web hosting package. Which we will never suggest any of web hosting users. 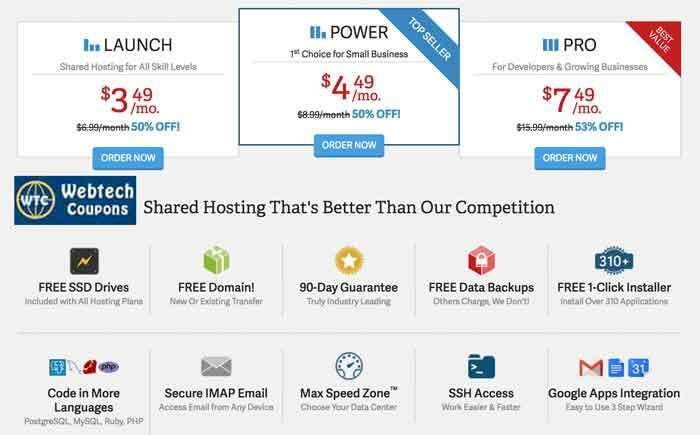 Just go for one-year hosting package with any web hosting company. So we give 3 out of 5 points. Inmotion Hosting Other Factors – Here also company scores 4 out 5 with 90 days money back policy with zero deduction. Terms and conditions are easy to understand. So overall, we find the Inmotion Web Hosting is a trustable web hosting. You can go with their hosting web hosting services without any worry. Soon will share some speed test results that we get after updating a WordPress theme with no add-ons. Hope you like Our Inmotion Web Hosting coupons Review for 2019. They provide a quality hosting services to all users worldwide. 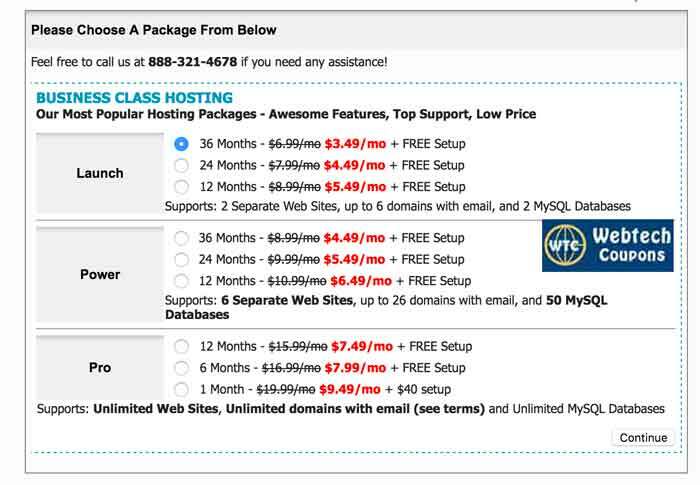 We have worked hard to bring you this Inmotion Web Hosting coupons & Reviews for all of our visitors around the world. It takes comprehensive research and lot of time to create reviews. We also thank Inmotion Web Hosting to giving us a Demo account. We are committed to bringing unbiased reviews for all users. So, this time, we worked to provide a genuine Inmotion Web Hosting reviews. Soon you will see more Inmotion Web Hosting Review with a lot of value added content.